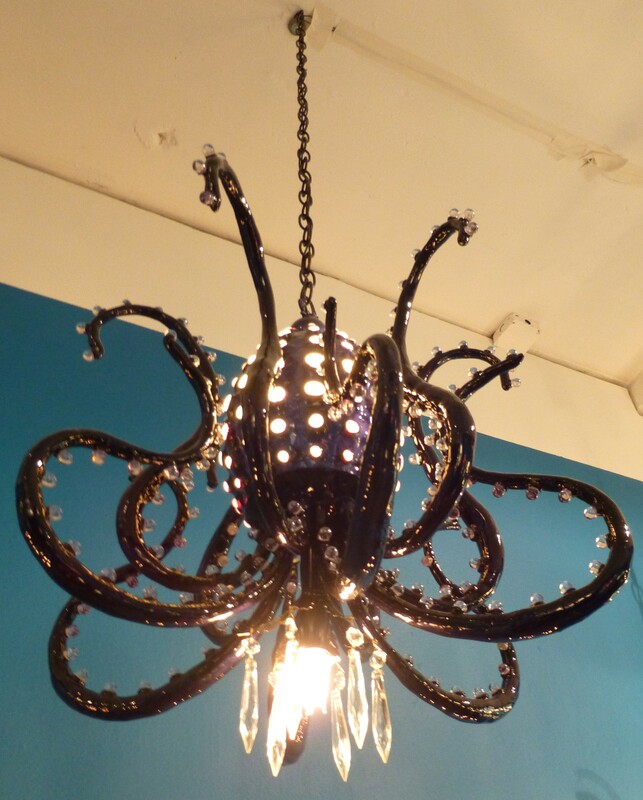 Octopus Chandeliers: I can’t get enough of them! 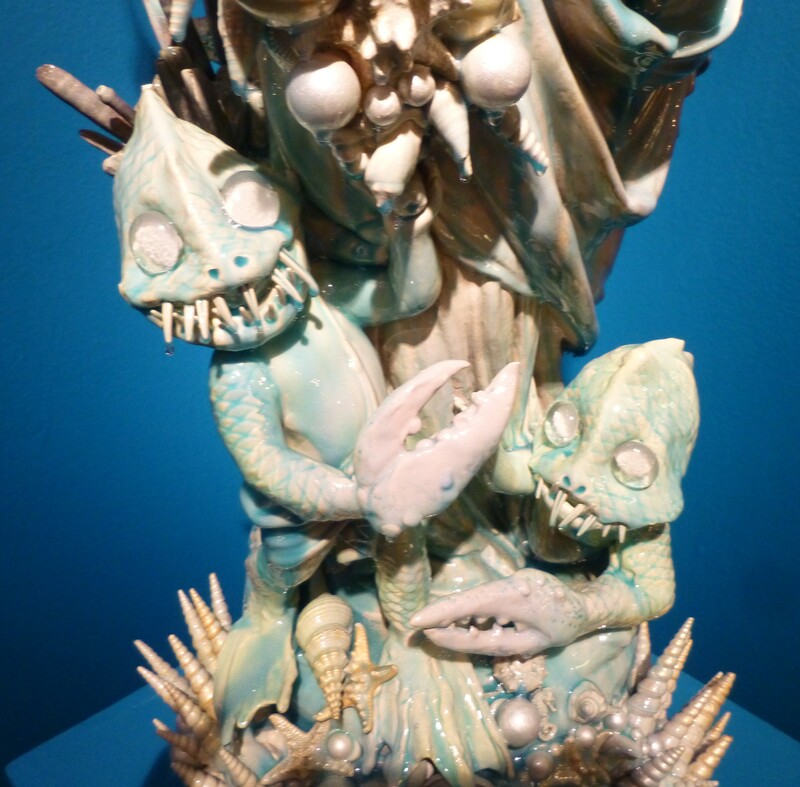 I’ve been so excited to finally see one of artist Adam Wallacavage’s exhibits in person and my dream finally came true this past Saturday when Wallacavage’s current collection, Magic Mountain, opened at Jonathan LeVine Gallery. Oh man, what a treat for the imagination and an amazing visual experience for everyone in attendance! 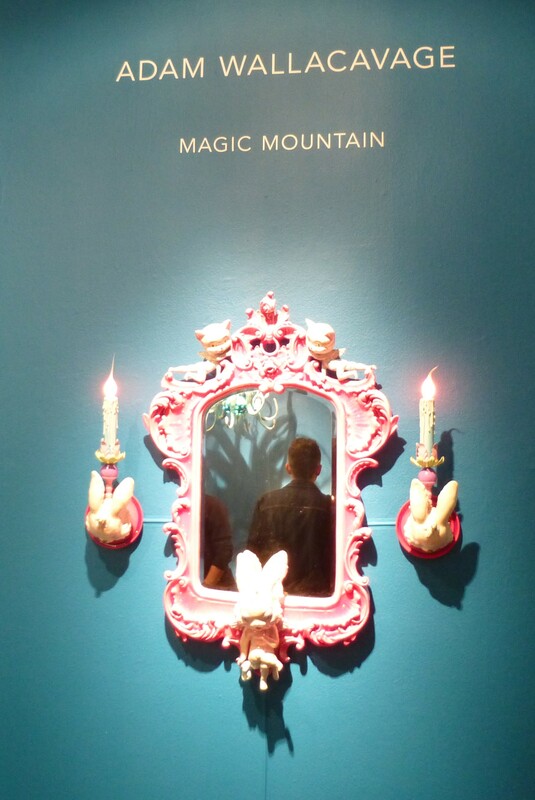 Magic Mountain features a series of mixed media sculptures and functional art objects as well as the artist’s first limited-edition multiple. 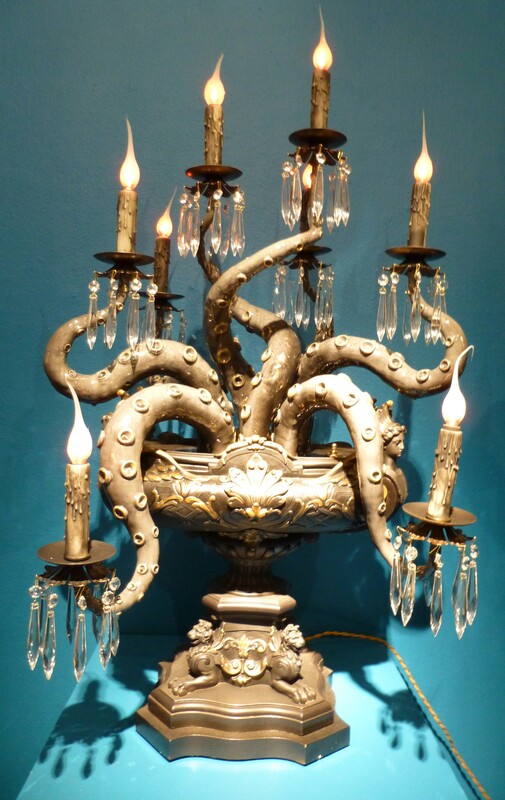 In addition to some of his signature octopus tentacle chandeliers, Wallacavage explores new subject matter in this exhibition including jellyfish, sea anemones, cobra snakes and hybrid-sea-creature children. 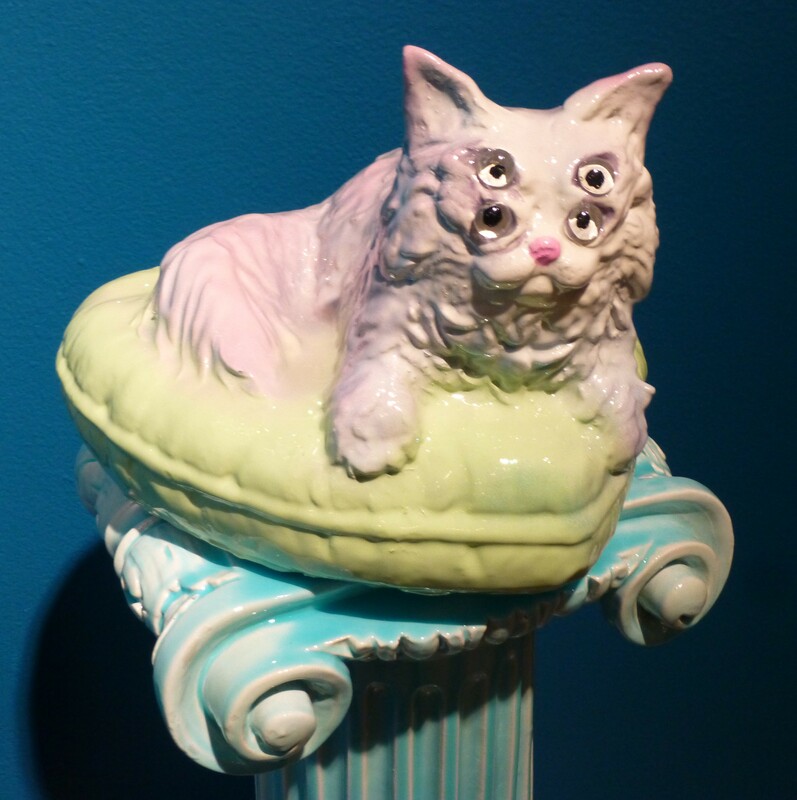 He also cast some of the vintage toys in his personal collection to experiment with appropriating nostalgic, cute and kitsch imagery. 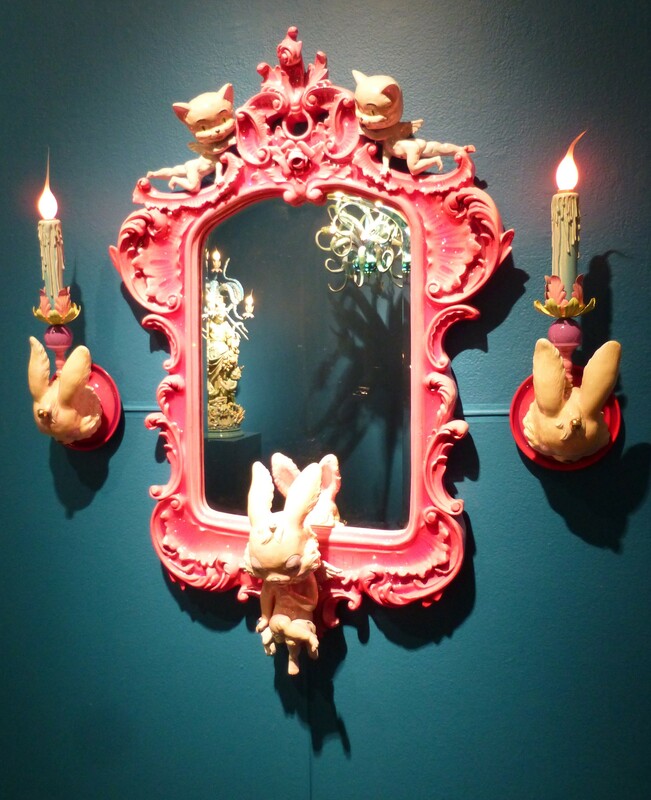 Combining his passion for aquatic themes, 16th Century Baroque traditions, 1940s Americana and a wild imagination, this body of work embodies Wallacavage’s ideal fantasy flea market. The assortment of twisted shapes and brilliant colors results in a surreal experience. 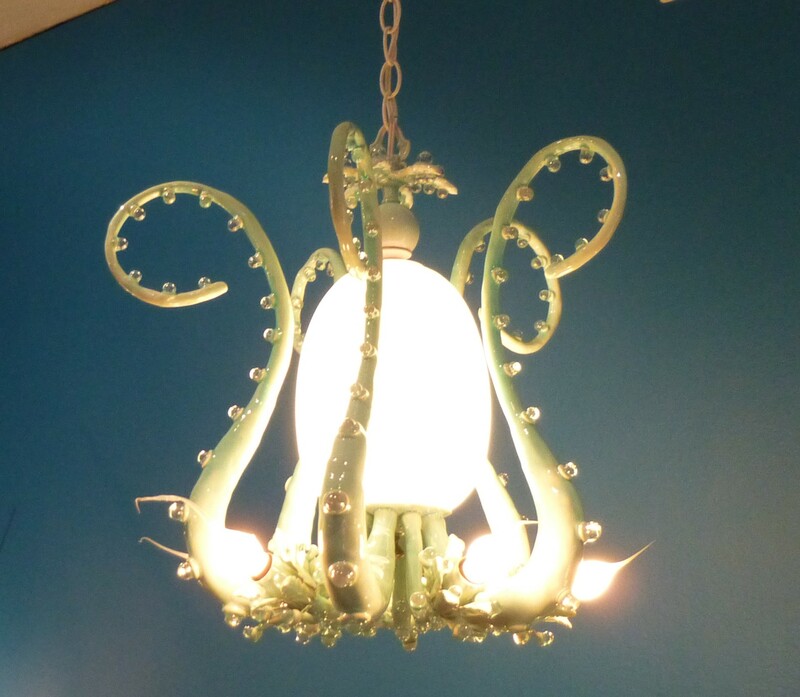 Over a decade ago, Wallacavage first began experimenting with chandeliers in order to create a dining room in his Victorian brownstone inspired by the classic Jules Verne novel Twenty Thousand Leagues Under the Sea. 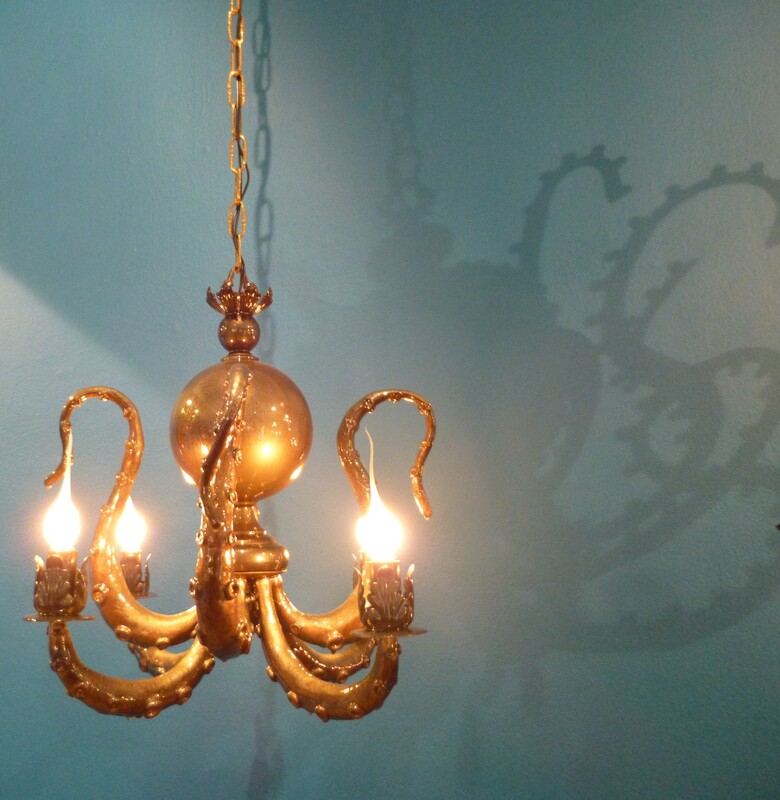 To construct his original octopus chandeliers, he taught himself the traditional techniques of ornamental plastering, which involves casting and hand-sculpting with epoxy clay and resin. In the years since, he has continued to experiment in form, color and technique, developing his own unique glazes, vibrant hues and finishes. This new body of work marks a transition point in the artist’s career, a master of his craft ready to expand his creative vocabulary in new directions. Magic Mountain by Adam Wallacavage will be on Exhibit through November 16, 2013 at Jonathan LeVine Gallery, Located at 529 West 20th Street, 9th Floor, in the Chelsea Gallery District. That looks so cool! I’m going Saturday! Thanks for the tip! 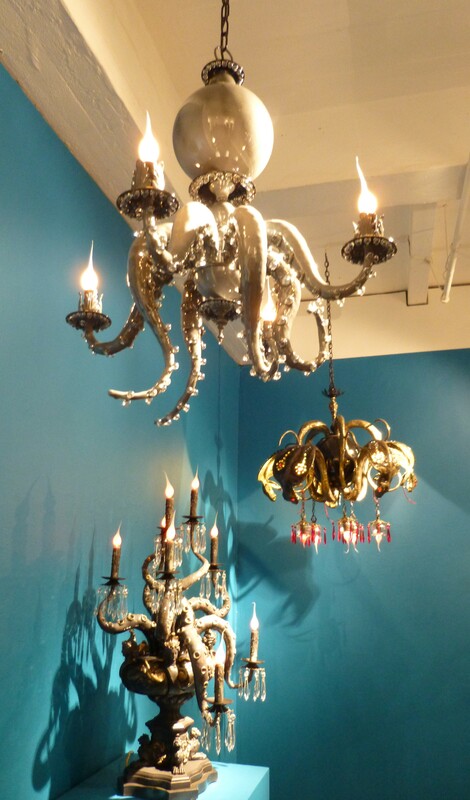 Those octopus chandeliers are the hotness! That’d be so badass to have in my house.